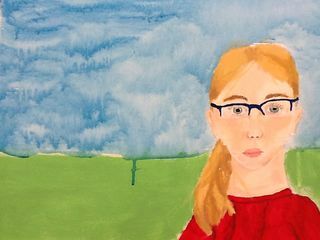 This is my niece's Rylee's first painting she made at her art class. I don't think I'm being too biased here when I say I believe this girl has some major talent. She is going to put her Aunt to shame.